What Is Cast Iron Guttering? An alloy of iron that has been manufactured with the help of pig iron when it has been heated till it enters the liquid state. It is now known as cast iron. Cast iron is the mixture of silicon and carbon which are added during the process so as to improve its physical properties. Both of these materials help to make the cast iron gutters to be an ideal material for the manufacture of different types of products. In the market a wide variety of cast iron gutters are available. These cast iron gutters are made of deep flow half round, victorian, moulded ogee, half round and plain half round. You will also be able to get them in all types of sizes so as to suit your exact requirement. Moreover, they are available with all the essential accessories such as union joints, outlet and bracket. You can of course get them replica style, using cast guttering in aluminium. Why Use Cast Iron Gutters? The main aim behind the usage of the cast iron gutters is that they are able to collect rain water from your roof so as to direct it away from your home. If allowed to accumulate it could cause damage. Now the next question which might be going on in your minds is whether or not your gutter system has been properly designed. A well designed rain gutter system drain is able to keep the water out from under the foundation of your home while keeping your siding, fascia and paint dry. Natural: One of the major advantages is that they are natural. In this way they will not have any sort of a harmful impact on the environment. Since they are natural, they can be recycled completely. Longevity: Cast iron gutters are known to provide longevity. They are strong and it is for this reason that they are able to adapt to the different situations. In this way the cast iron gutters will be able to perform at their best. They will also last you for a long time. If you have taken adequate steps to install the gutters in the right way and have also taken the minimum care with regards to their maintenance, they will definitely last you last for decades if not a century. Aesthetic appeal: Lots of other factors are there which add to the reasons as to why the homeowners prefer the cast iron gutters. And one of them is that they provide an aesthetic appeal. 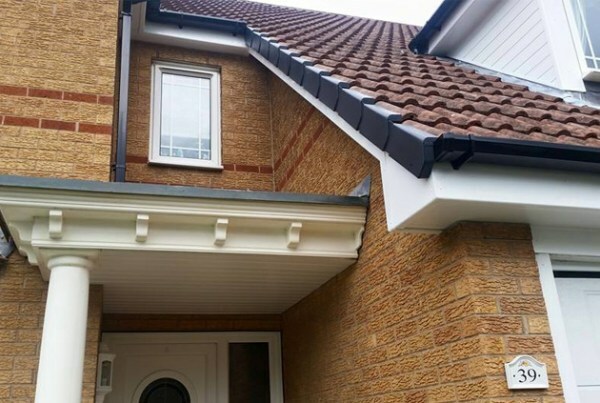 Able to withstand any weather: On having installed the gutter in the proper way, find yourself feeling more relieved as they will be able to withstand any sort of weather without becoming damaged in anyway. In order to maintain your cast iron gutter a regular inspection should be carried out for rusting. Such a process will be able to save you hundreds of pounds. You should also take steps to examine the joints properly. In this way you will be able to know if there is any kind of leakage. You should also remove the rust and the paint work before repairing. It is also necessary for you to clean all of the clogged parts before the fall season or in spring.